Researchers at the Shepherd Center in Atlanta are developing a prototype that addresses physical and cognitive parameters, daily routines, and homes of patients to better implement rehabilitation within the home environment. The study was presented in “Functional Home Evaluation: Missing Pieces in Treatment and Transition Processes” during the Consortium of Multiple Sclerosis Centers (CMSC) 2016 Annual Meeting, through June 4 in National Harbor, Md. In most cases, patients in need of therapeutic treatment do not need to be hospitalized. Treating patients in their own functional home environment plays an important role in rehabilitation. Home care takes away the high cost of hospitalization and gives the patient a relatively normal life while receiving physical, post-surgical and phychological assistance. However, in patients with physical and cognitive impairments that sometimes come with multiple sclerosis (MS), transition from the clinical to home setting can be very challenging. 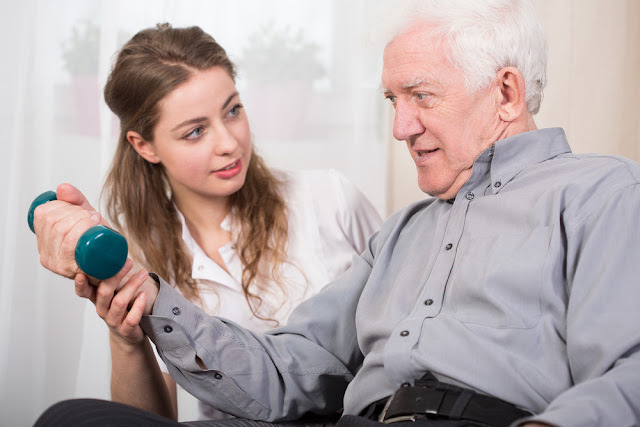 Information related to the patient’s home and routine is required to help rehabilitation professionals develop practical and functional treatments that can be adapted to the patients once they leave the hospital. The research team developed a home evaluation prototype to improve the treatment plan of patients with challenges at home. The study’s objectives included addressing the efficacy of the person-centered treatment plan within the home environment, presenting a home assessment model that evaluated the cognitive and physical needs of the patient and his/her family, and integrate the home assessment and treatment plan. Two case studies of MS patients with physical and cognitive communication problems, who were participating in home-based therapy, were presented. The researchers revealed the components of home evaluation, the protocol for strategy assessment, and a list of problem-action interventions. Researchers believe that the home evaluation prototype will better predict patient’s needs, and allow the adjustment of home therapy accordingly.